Grandes ventanales, mármol de Carrara en paredes y techo, y espejos viselados le dan una opulencia de lo más simple a este baño. ¿Qué os parece la grifería de estilo antiguo fijada en el espejo? ¿y la de la bañera hecha a medida en mármol? La idea del mueble en espejo es de lo más chic. Para contrarrestar tanta opulencia, pocos objetos y otros tan espartanos como un banquito de madera...Un sueño de baño. 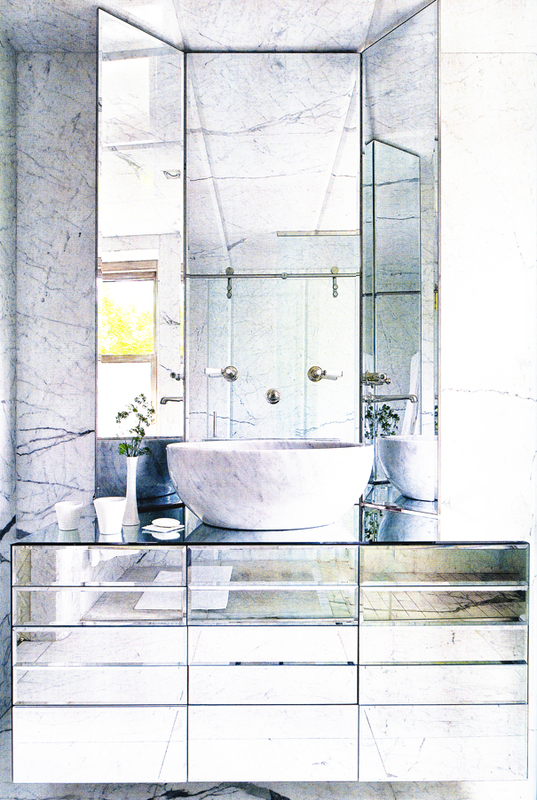 Large windows, Carrara marble on walls and ceiling, and visel mirrors give a simple opulence to this bathroom. What about the old style faucet set in the mirror? And the other marble one in the bathtub? The idea of ​​mirror furniture is always chic. In contrast to such opulence, the designer, Jorge Varela, has added few objects, and other so rustic as this vintage bench... A dreaming bath. Oh my..this is really beautiful, that tub!! Btw..thanks for visiting my blog and your lovely comments!! Sin duda total y absolutamente chic!! This is GORGEOUS... although I'm glad I don't have to clean those mirrors everyday! 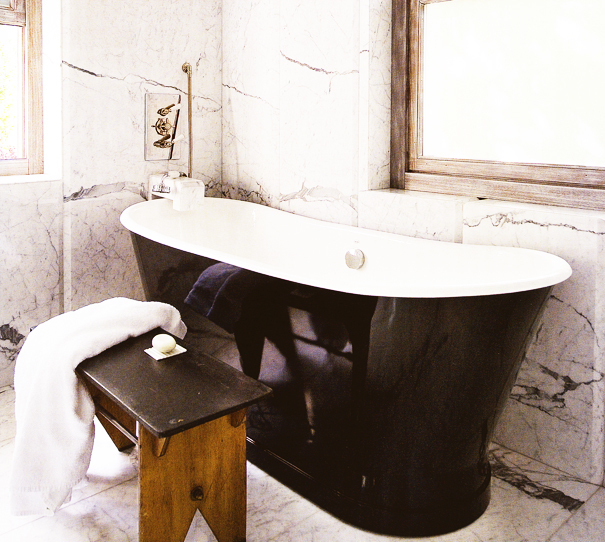 The bathtub against the marble wall is fabulous! I love the bevelled edge of the marble slabs. Hi Maria! I so long for the day that I can have a bathroom like these. They are incredible! Besos... pasa una estupenda semana! !